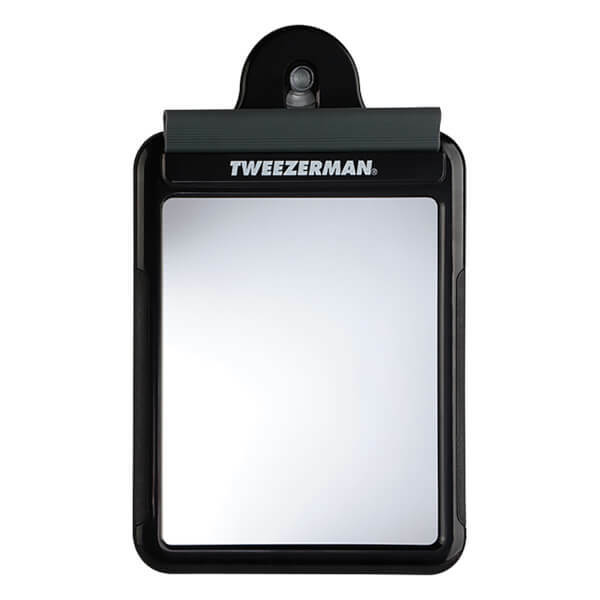 Tweezerman's G.E.A.R. 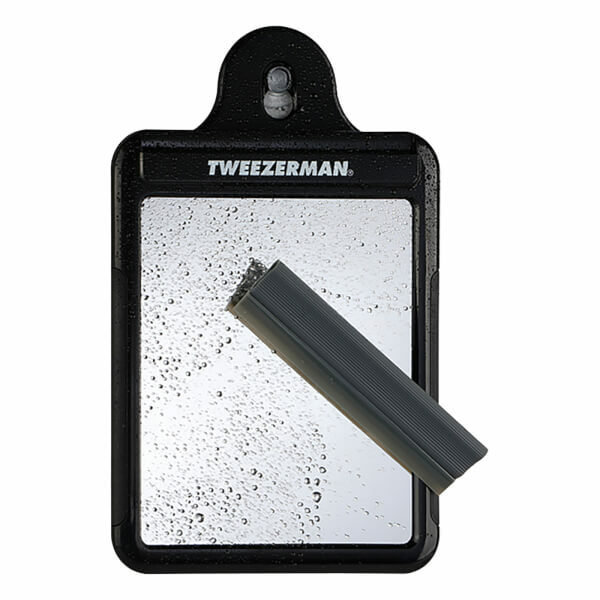 Fogless Shaving Mirror is a handy essential when shaving in the shower. Portable and practical, the mirror can be used hands-free; suction cups to the back allow it to be attached to any clean, smooth surface for convenience. Optically correct with no distortion from edge-to-edge, the shaving mirror enables a clear view when shaving and grooming. Fogless technology helps prevent the mirror from steaming up in the shower. The mirror's rear reservoir can be filled with warm water which slightly heats up the surface of the mirror to prevent fogging. Arrives with a squeegee to wipe away water splashes. Simply fill up the reservoir at the back of the mirror with warm water, which slightly heats the surface of the mirror. This will prevent fogging. Empty the reservoir after each use.